Western intelligence agencies have for years raised concerns about Huawei's ties to the Chinese government and the possibility that its equipment could be used for espionage. But there has never been any public evidence to support those suspicions. Huawei, the world's largest maker of telecommunications network gear and the no.3 smartphone supplier, has promised that Canberra will have complete oversight of 5G network equipment, which could include base stations, towers and radio transmission equipment. That sort of oversight model has been accepted by other countries - notably the U.K., where a special laboratory staffed with government intelligence officials reviews all Huawei products. Other Western countries, including the New Zealand, Canada and Germany, also say they have sufficient safeguards for assuring that Huawei equipment does not contain "back doors" or other mechanisms for secretly monitoring or collecting information. But Australian intelligence agencies have told lawmakers that oversight will not allay their concerns, two political sources who have been briefed on the matter told Reuters. "It is a Chinese company, and under Communist law they have to work for their intelligence agencies if requested," said one of the government sources. "There aren't many other companies around the world that have their own political committees." Both sources declined to be identified because they were not authorised to speak to the media. Huawei has already been mostly shut out of the giant U.S. market over national security concerns. Its business serving small, rural telecom operators is now at risk after new attacks on the company in recent weeks by some U.S. lawmakers. The move to ban Huawei in Australia comes as tensions mount over China’s growing power and ambitions in the region. Relations between the two countries are at an all-time low after Prime Minister Malcolm Turnbull last year accused Beijing of meddling in Canberra's affairs, and China responded by slowing some Australian imports. Australia's 5G service will require a dense network of towers that would then be leased to mobile providers such as Telstra. Mobile carriers typically have access to sensitive personal information, such as internet search history or emails. But in Australia and most other countries, there are strict laws governing when and how they can do so. 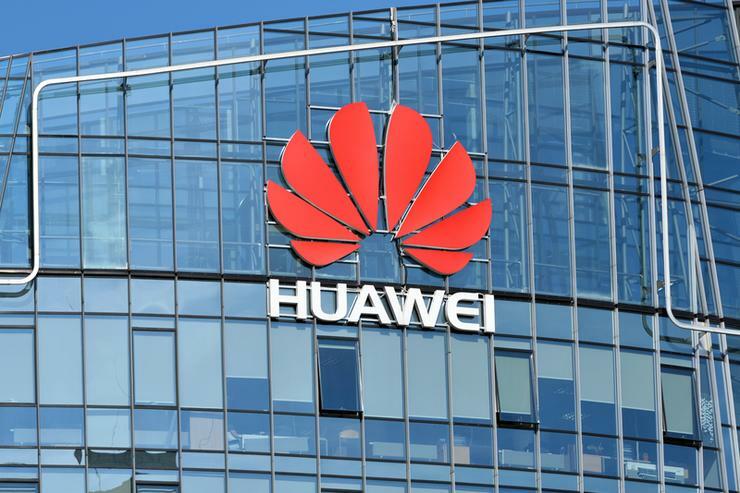 Australia's intelligence agencies fear that if mobile operators rely on Huawei's equipment, the Chinese company could develop a means of collecting data or even undermining the stability of the network. Chinese law requires organisations and citizens to support, assist and cooperate with intelligence work. Huawei Australia's chairman, John Lord, said that law does not apply to its operations outside of China. "That law has no legitimacy outside of China," Lord said. "Within that country, any information coming through us and any equipment we put into their national infrastructure is safe to the best of our ability, and it's secure." In 2012, Australia banned Huawei from supplying equipment to the country's National Broadband Network, which has been hampered by technological failures. Australia believes that the 5G network, which will provide mobile internet speeds 50 to 100 times faster than current technology, will be the cornerstone for future innovations such as driverless cars. That makes it crucial to keep the network secure. Turnbull in February received briefings from the U.S. National Security Agency and Department of Homeland Security on the threat from Huawei, one source familiar with the meeting told Reuters. "The UK and New Zealand, they have decided that the risk of Huawei is worth it for the benefits of the network. For the Australian Security and Intelligence Organisation (ASIO) and the U.S., it is not worth the risk," a second political source said. Although Australia's intelligence agencies are unwavering in their advice, Turnbull has yet to formally sign off on the Huawei ban. One of the sources familiar with the process said the government is "in no great rush to confirm the ban." Read more What can businesses learn from hackers? "It is going to highlight the anxiety that Australian lawmakers have about the rise of China, and it is not going to do any good for the Australian-China relationship," said Adam Ni, visiting fellow in the Strategic and Defence Studies Centre at the Australian National University. Despite the trade pressure, Turnbull can ill afford to overrule the country's security authorities amid a rise of Chinese hawks within Australia's government. In rare public testimony, Australian Security Intelligence Organisation director general Duncan Lewis this year warned that foreign espionage, interference or sabotage could inflict "catastrophic harm" on the nation's interests - remarks that were widely considered a thinly veiled reference to China. The warning spurred a backbench lawmaker, who sits on the country's important parliamentary Intelligence and Security Committee, on June 18 to urge Turnbull to reject Huawei, a source familiar with the details of the party-room meeting of the ruling government told Reuters. Turnbull did not directly address the comment, the source said, leaving his own party uncertain of his leanings. In legislation seen as aimed at China, Australia will soon require lobbyists to declare connections to foreign governments. Canberra has also called for increased international aid to the Pacific to counter what it says is Beijing's attempt to exert greater influence.